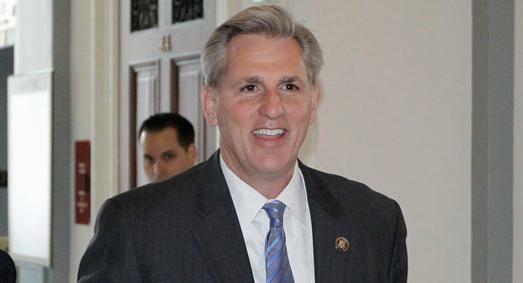 Rep. Kevin McCarthy, House Majority Leader, remembers D-Day 71 years ago. "Seventy one years ago, thousands of American soldiers embarked on a mission that held no promise of success and no guarantee of survival. As the best of our nation cut through the fog that morning and landed on Normandy Beach, their valor and sacrifice lifted our nation and our allied forces to eventual triumph that preserved and expanded freedom to millions around the world. More than 160,000 Allied soldiers landed on June 6th along a 50 mile stretch with over 5,000 ships and 13,000 aircraft supporting the D-Day invasion. "We honor this incredible devotion to our country as they fought to preserve the freedom we enjoy every day. Many of these men and women, our community has had the honor of recognizing as we have taken them to Washington D.C. to see the WWII Memorial on various Honor Flights. Words cannot adequately say how grateful we are to individuals of the Greatest Generation. "There are countless ways we honor all of the men and women who have served our country. In Congress, perhaps no act does this more than providing the resources necessary to prepare the men and women of today’s armed forces to carry out their duties and to care for the individuals and families that have already served selflessly. "This can be done through the National Defense Authorization Act and the corresponding Department of Defense Appropriations Act. These critical pieces of legislation provide critical support for the men and women of our military. Congress has passed the National Defense Authorization Act, and we will work to pass the Department of Defense Appropriations Act next week. The world is a more dangerous place than it was just a few years ago. Our allies don’t trust us and our enemies don’t fear us. Now, we must do everything we can to keep America safe and strong and to serve the men and women who show proudly serve our country.